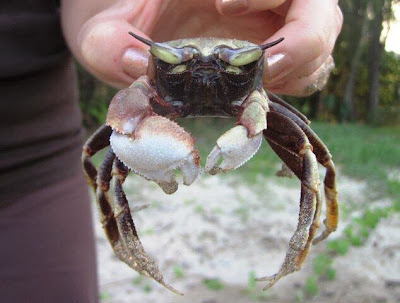 It’s a ghost crab; unsure of species. But I do note that the lovely manicured fingernails in the background you see are those of Alexis Rudd. I have small dream: that @seventeenmag will acknowledge #Science hands to its 700+k followers. But tonight it feels like a pretty big dream.